A twist on a classic French sauce sometimes called hunter sauce, made with any available vegetables found on hunting trips. Heat half the oil in a large frying pan and brown chicken breasts, finish cooking in the oven at 170 degree Celsius until cooked through. Keep warm. Add the remaining oil, onions and cook for 3-4 minutes or until softened. Add wine to frypan and reduce by half. Transfer wine and onion to a saucepan, add water and CONTINENTAL Professional Gluten Free Cream of Mushroom Soup Mix and KNORR Pronto Napoli while stirring continuously. Simmer for 10 minutes. Add cream to sauce and cook gently until heated through. 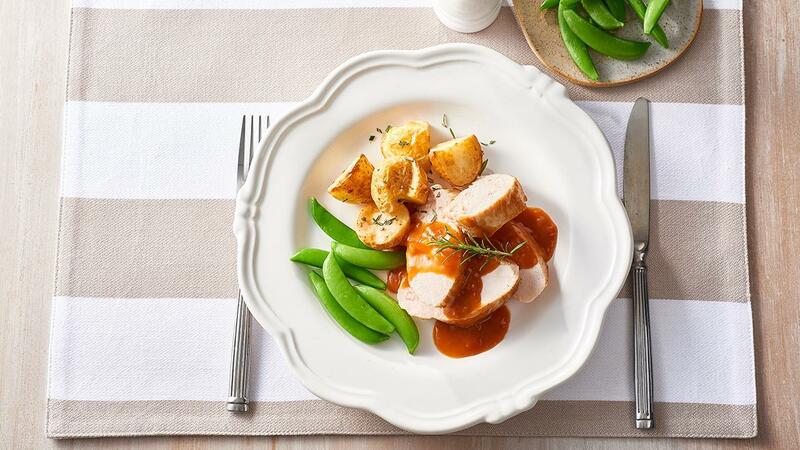 Serve chicken breasts with chasseur sauce. Roasted potatoes with thyme and sugar snap peas. Substitute chicken for pork or beef.